I have tried various recipes for beet soup, but this is my favorite because it is easy and it contains my homemade bone broth, which has its own awesome health benefits. I also sneaked into the recipe some kelp granules for trace minerals and iodine. Try it yourself. Remember two things: (1) Beets stain everything; so, you may want to wear non-latex gloves for their preparation. 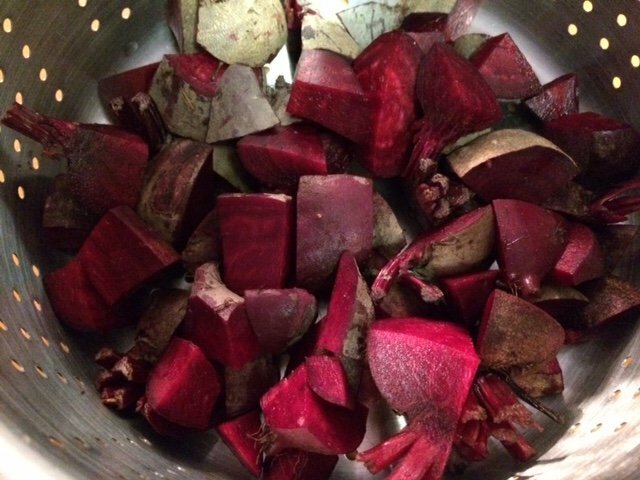 Also, (2) the betalains in beets are sensitive to excessive heat; so, you should use low heat for a short time. In the picture above, I added a dollop of coconut cream and orange zest as garnish. Steam beets for 15 minutes. 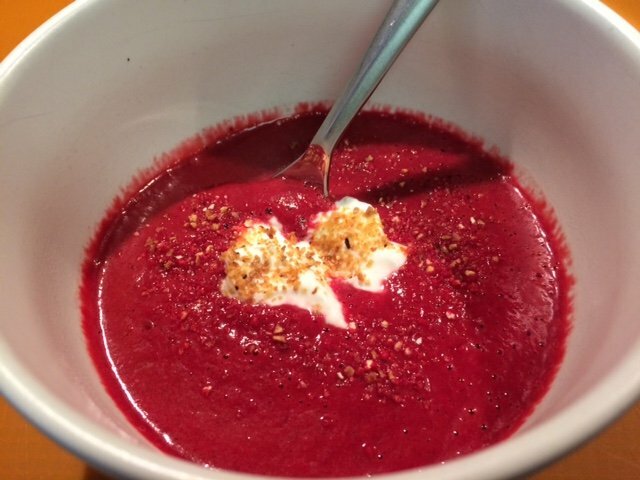 Place beets, coconut milk, and bone broth in large pot to simmer for 5 minutes. Add ginger, orange zest, cardamom, cinnamon, kelp granules, salt, and pepper to soup. Pour soup into Vitamix (or any powerful blender), and blend until smooth. Optional: Garnish with fresh herbs, coconut cream, and orange zest.